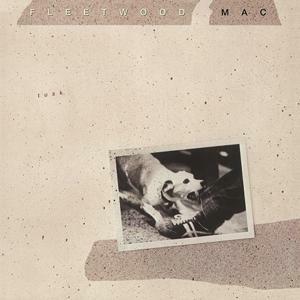 After all of the mythologising – the most expensive rock album ever produced; a staggering commercial failure; a Lindsay Buckingham vanity project with the Fleetwood Mac name attached; what happens when too much money meets too much blow - Tusk remains a singular oddity in Fleetwood Mac's oeuvre. By the time its recording commenced in June 1978, the band were in the stratosphere of commercial success: their previous album, Rumours, had shipped millions of copies and was on its way to becoming one of the best selling albums of all time. Yet the music that had inspired Buckingham during his respite from the gruelling Rumours tour was the opposite of commercial: the debut albums from The Clash and Talking Heads, both recorded on the cheap. As Rob Trucks recounts in his 33⅓ entry on the album, Tusk began its life as an ultimatum from Buckingham to band leader Mick Fleetwood: Buckingham had new songs he was going to record. In response, Fleetwood shot back another ultimatum: Buckingham was either in the band or out of it. The stage was set for a collision: between the moneyed, high-gloss world the band inhabited and the scrappy upstarts who were shaking that world's foundations; between Buckingham's musical ambitions and Fleetwood's determination that Fleetwood Mac stick together as a band. Tusk, therefore, is riven through with contradictions. It contains some of the band's glossiest work, of the sort that would have made the executives at Warner hopeful that Tusk could function as Rumours Redux: the gorgeous 'Sara', Stevie Nicks's aching paean of love and loss; Christine McVie's rock burner 'Think About Me', complete with acid lyrics that would fuel further speculation about the band's private lives; the lapidary 'Storms', featuring Nicks at her most pitilessly introspective. Yet these songs find themselves nestled between Buckingham's off-kilter, deliberately lo-fi ditties: deliberately truncated songs (none longer than 3:32) with unusual, unresolved melodies, in which Buckingham affects a falsetto and Fleetwood sounds as though he were drumming with a set of cardboard boxes. You'd be hard-pressed to call these numbers 'punk' per se - they thrum through with Buckingham's interest in folk and blues traditions, and they were after all recorded at phenomenal expense - but they preserve punk rock's affinity for simplicity and concision. In many ways they sound like exactly what they are: punk rock reflected back through the funhouse mirror of a platinum-selling band with a well-documented cocaine problem, a limitless recording budget, and a background in blues. It's no secret that Tusk performed poorly on its release, shipping a mere two million copies in its first few months of existence compared to the over ten million copies that Rumours shifted. Just who the fault can be pinned on remains the subject of some debate. Did Tusk's commerical failure, as Warner's executives insisted, derive from Buckingham's outré songwriting? Was it, as Mick Fleetwood argued, because the album was prematurely leaked to the RKO radio network, who proceeded to play it in order, much to the delight of home tapers? In the long view, such considerations are immaterial: given the album's strange afterlives - including a start-to-finish cover version by Camper Van Beethoven and becoming a formative influence on Carl Newman's work with The New Pornographers - it seems that Tusk has ultimately vindicated itself. The latest remaster and reissue of the album - the third such intervention to have happened since the 1980s - is about as comprehensive as anyone could hope for. In addition to the original album, which has been given a crisp buff and polish (albeit one that could have preserved a little more of the original release's dynamic range), and a second disc of single versions and demos (many of which originally appeared on the 2004 remaster/reissue), it also includes a start-to-finish version of Tusk in hitherto unreleased alternate takes and two discs of live material from the band's 1979-1980 Tusk tour. Mac anoraks will find that the second disc's collection of successive demos - which map out the progression of both 'I Know I'm Not Wrong' and the title track from their early incarnations through to near-finished versions - illuminates the band's creative processes. Perhaps more interesting is the third disc, sequenced from unreleased alternate versions: while many songs sound essentially like rough-hewn versions of what would appear on the final release, it's worth listening to just for the lengthy version of 'Sara', in which Nicks elaborates on the song's themes in an extended outro. The live material on discs four and five is perhaps less essential: much of it is actually from prior albums rather than Tusk, and perhaps inadvertently demonstrates the cold shoulder with which the public received the album. (When Christine McVie introduces 'Over & Over' to a crowd at St. Louis by informing them that it's from the new album, the reception is rather more muted than the ecstatic cheers that greet the version of 'Dreams' recorded at Wembley on the same tour.) Perhaps most interesting about these discs is the valiant attempt by the band to fit Buckingham's Tusk songs into the stadium-rock mode: 'Not That Funny' shifts into bombast, with Fleetwood hammering the kit and Buckingham belting out his lines, and Buckingham shreds out a solo that wouldn't have been out of place on Rumours at the conclusion of 'What Makes You Think You're The One'. These efforts to make Tusk's material appeal to the band's demographic demonstrate just how much it began its life as an album out of time, an artefact that could not have been produced at any other juncture in history but one that, equally, sounded completely ill-at-ease in the cultural moment that produced it. Perhaps fittingly, time has been kind to Tusk, and the album doesn't require the ultra-deluxe treatment to make a compelling case for its relevance - those two LP's worth of creative tension, that juxtaposition of the rough and the smooth, are worth returning to with or without the context provided by this reissue.